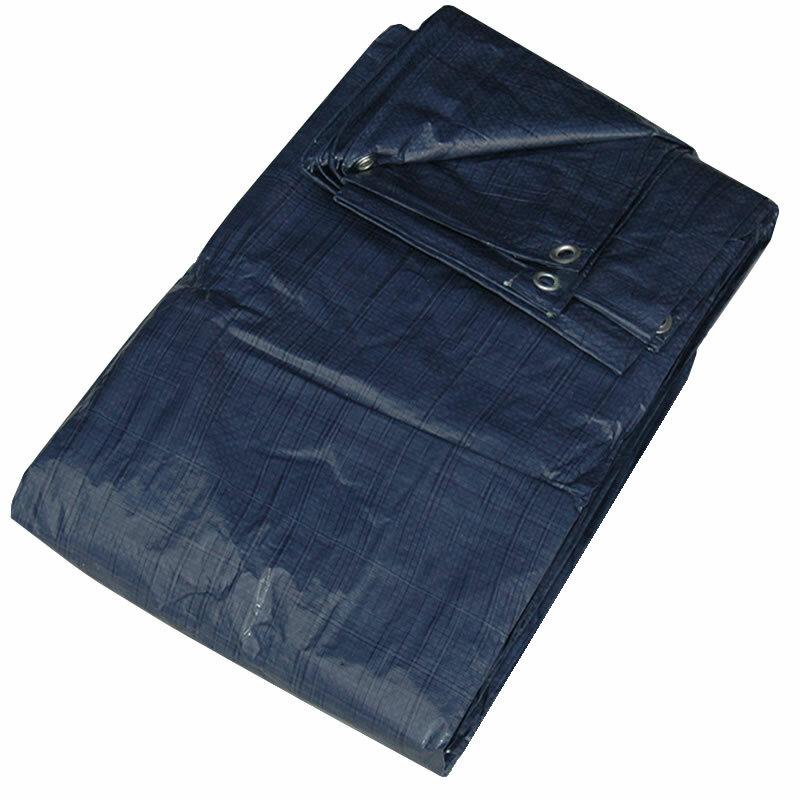 This blue economy tarpaulin is a lightweight but durable option when looking to purchase a cover. The cheap price along with the strength and reliability makes this groundsheet cover a very popular choice among our customers. Manufactured from woven polyethylene, this temporary cover is waterproof, rotproof and shrinkproof, providing a strong builders’ tarp. The sheet is UV protected and is flexible to minus 20 degrees Celsius; this allows the groundsheet to be effective in a range of climates and conditions. The tarpaulin has aluminium eyelets placed approximately every metre in the hems of the tarp on all four sides. The hems are rope reinforced to give the edges of the tarpaulin more strength in order to reduce the chance of tearing when forces are applied to the eyelets. 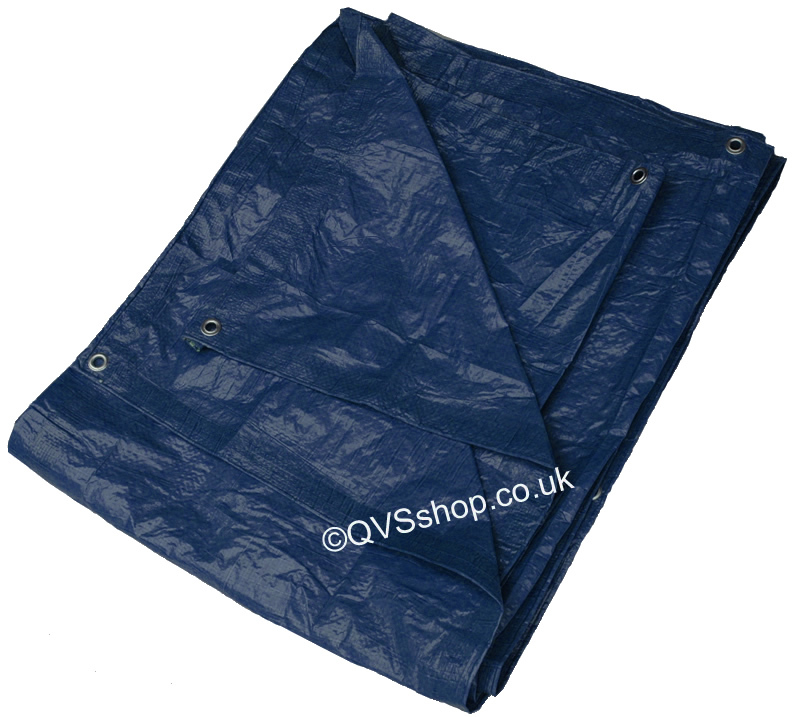 There are many different ways in which this tarpaulin can be applied, such as a groundsheet or as temporary roofing. Additionally it can be used as a cover for boats, trailers, cars and building materials. This economy groundsheet is also available in green and white on specific sizes. 80gsm (grams per square metre). Easy to move and handle. Sizes available: 1.8m x 2.4m, 2.7m x 3.5m, 3.5m x 3.5m, 3.5m x 4.5m, 3.5m x 5.4m, 3.5m x 7m, 4.5m x 6m, 5.4m x 7m, 4.5m x 9m, 7m x 9m, 7m x 11m, 9m x 14m, 10m x 10m and 12m x 20m.